Strictly for the Experts: an Ultra-Premium 2-Part Bloom-Phase Base Nutrient Uniquely Formulated for Experienced Growers! Only truly expert growers need apply. When it comes to getting the bigger yields you want, the bloom phase is a critical time to get it right. Now you can get ready for your best harvests to date using Advanced Nutrients' pH Perfect® Connoisseur Bloom. That's because this flagship formulation contains only the most potent, powerful ingredients, that help to drive your crops to the most productive bloom phase possible. And of course, pH Perfect®Technology keeps the pH in the "sweet spot" every week of the entire bloom phase. 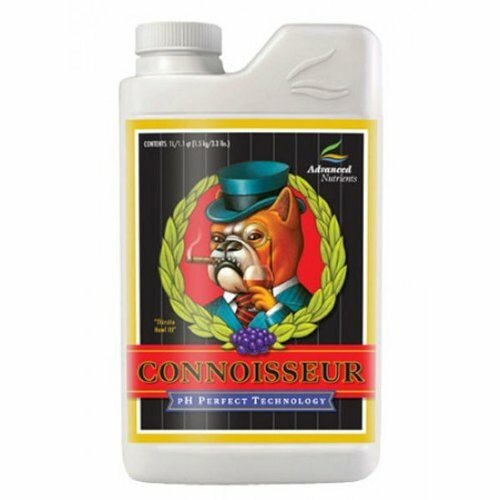 Simply use pH Perfect Connoisseur Bloom as directed and we promise you a harvest that will exceed your expectations. The bottom line: There's no better base nutrient for elite growers who want to get the maximum genetic potential from their plants. We guarantee its superiority over any and all challengers - and we guarantee your satisfaction with our 100% money-back Grower Guarantee.